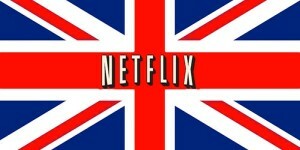 Netflix Launches in UK and Ireland! Today finally Neflix launched in the UK. TV programs and movies, including local favorites can be streamed via Netflix to smart TVs, game consoles, computers, tablets and mobile device for £5.99 ($9.23) per month. A month’s free trial is also available. Netflix’s main rival in the UK market is Amazon’s well-established LoveFilm, which reacted quickly to the announcement by announcing its streaming package for £4.99 ($7.69) per month. But Netflix has an advantage with deals from Sony, Disney, Paramount, ITV and Channel 4 in advance which will allow it to have more movies and content. Netflix's blog said that the service will integrate with Facebook and also give recommendations depending that the service will offer social viewing suggestions, based on an integration with Facebook. Netflix will also give personalised recommendations based on your previous selections and those of similar users. Netflix has more than 20 million streaming customers in the U.S., Canada and Latin America who collectively watched over 2 billion hours of content in Q4, 2011. Well lets see how they do in the UK and the Ireland! Previous 8 inch Android Tablet for just $100! Next Kivic One – Air Play and DLNA in your Car!